Lisa-Marie Lewis of Bajan (Barbados) parentage grew up as an only child in Vancouver, British Columbia. For as long as she can remember she has always expressed herself through movement. At the age of 17, after years of studying ballet in Canada, she made the adventurous move to start her professional career in New York City with The Dance Theatre Of Harlem. She also performed as a Radio City Rockette (Assistant Dance Captain) for ten years. 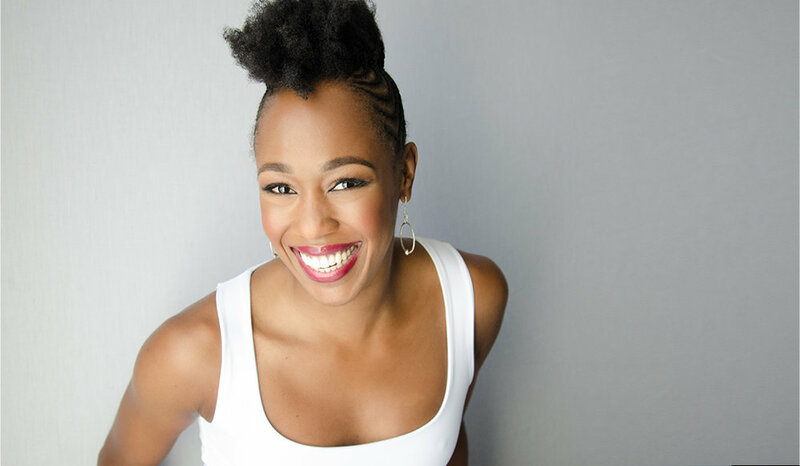 She is currently performing 8 shows a week in the Broadway production of The Lion King. In addition to her performance arts career, Lisa began on her own path of yoga 15 years ago. She was instantly drawn to the delicate balance between movement and stillness. After years of dealing with chronic injuries and surviving breast cancer, it was the therapeutic healing effects of yoga that kept her coming back to the practice. She now has a strong interest in studying yoga therapy and teaching yoga as a healing art for those facing specific health challenges. This practice of awareness, acceptance, and transformation has become an integral part of her daily life by allowing her to move through the world with more patience and ease. The quality and richness in her life now depends on this profound practice and experience of yoga. Lisa is currently a 500 hr Registered Yoga Teacher with Yoga Alliance. Inspired by a playlist or live music, Lisa’s classes are fun, flowing, and challenging.